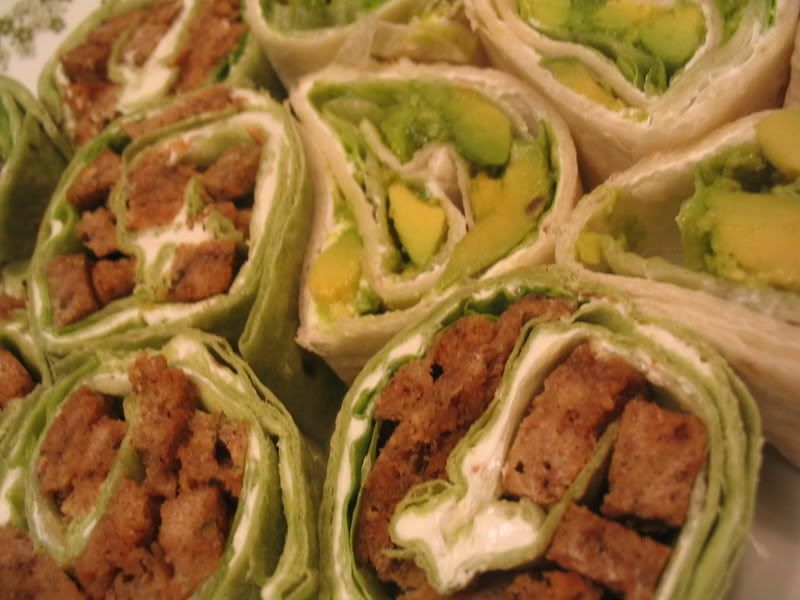 Nothing fancy here, just a bit of tofutti cream cheese, lettuce, some tortillas and in one...avocados, in the other...seitan. Rolled up and sliced up. Easy and light when the weather is hot. Mmmm these look yummy. I'll have to keep something like this in mind for when the weather gets hot again over here.